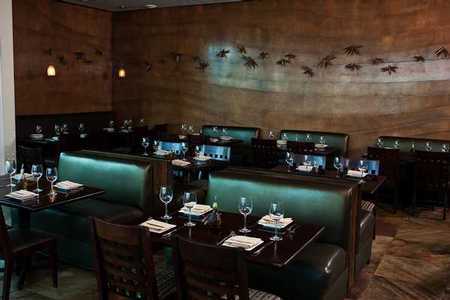 If you’re in the Mission Bay area, be sure you visit The Firefly Restaurant and Bar located inside The Dana Hotel. Facing the bay, Firefly has fantastic views, creating a dining experience that will impact your senses in a major way. 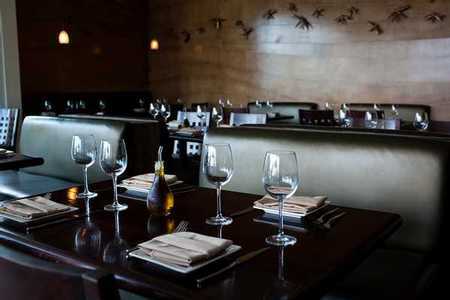 As one of San Diego’s premier dining spots, Firefly offers a contemporary atmosphere imbued with the kind of ambiance that is just right for a romantic dinner for two. If you’re looking for a quick meal, the happy hour menu offers great specials. Chef Eric Manuel is a native to San Diego, and his dishes are created with fresh, seasonal ingredients and prepared with great attention to detail, making the end result a meal to truly relish in. Although not native to the Southern California region, the firefly is synonymous with the balmy, easygoing ways of summer. And considering that San Diego enjoys some of the mildest and most beautiful weather in the country, one might say that the firefly and Sunny San Diego were made for each other. The Firefly Restaurant and Bar, in the Dana on Mission Bay Resort, embodies the fanciful exuberance of that most twinkling of beings, and seduces guests with the kind of relaxed sophistication only found in this city. Tucked away behind the manicured grounds and handsome buildings of the hotel, The Firefly’s shimmering glass façade was designed to exploit as much of the surrounding view as possible. As a result, diners seated at any table in the intimately-sized dining room may look out the curved front wall of windows upon the expansive outdoor dining patio – this open space drops down to the resort’s pool that mimics the stunning infinity style. Firefly’s interior space does not cower behind the breathtaking views, but offers a quiet and contemporary minimalist backdrop by which the whimsical cuisine and inspiring landscape may shine. A fully-stocked bar complete with large-screen TV’s lines the entire length of one wall, giving equal access to the sights outside and the big game overhead. Many of the tables are graced by appropriately sized, comfortable and casual bench seats that anchor the space in leather-upholstered warmth. Similarly, the rear wall features floor-to-ceiling panels of richly grained wood that seem to ebb and flow like the incoming tide. Larger-than-life wooden fireflies flutter and flirt across this perpetual sea of stillness and invite the mind to do the same. It only takes a brief moment to realize that the staff, both in front of and behind the kitchen door, contributes more to the restaurant’s welcoming atmosphere than any degree of design or décor ever could. We were first made aware of this fact by Ashley, our helpful and attentive server for the evening. The first dish we were introduced to this evening was the Roasted Bruschetta. Thickly cut slices of crostini were presented to us on a gleaming white, long rectangular plate. Melted fresh mozzarella and feta cheese blanketed the bread, topped with a drizzling of balsamic syrup and almond basil pesto. Roasted cherry tomatoes graced the edges of the plate and delicate strokes of the pesto sauce shown brilliantly against the white dish. Biting into the crunchy discs revealed another dimension of sensory bliss: the warm layer of cheese was infused with the mildly sweet and milky essence of the mozzarella and the slightly salty undertones of the feta. The reduction of balsamic sprinkled over the top not only offered a punch of color, but its intrinsic acidity cut the richness of the cheese and lightened the bite. Similarly, the pesto’s earthy color and intensely aromatic quality enhanced the sweet notes of the vinegar. The plate of Chilled Prawns was genius in its simplicity and inspiring in its presentation. The three edible components of the dish were aligned with the three points of the triangular white plate on which they sat, creating the “T” shape. The bodies of the prawns were poached in tamarind and lemongrass, and were aligned toward the center of the dish. Crossing the “T” were a cluster of the fried prawn heads to one side and a bowl of the wasabi arugula aioli to the other. While the cool, light and subtle texture of the bodies enticed us with their ever-so faintly sweet character, the crisp-fried heads retained an intense richness I can only compare to fresh crab meat.. The wasabi aioli complemented both the mild-mannered freshness of the bodies and the pronounced flavor of the heads with a fragrant sweetness of its own. The Candied Apple and Pecan Salad made its appearance at just the right time to cleanse our palates and invigorate our senses. 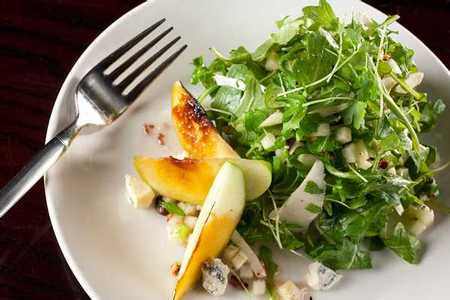 A mingling of arugula and celery leaves created a delicate and mild bed of flavor, which served as a subtle backdrop for the forefront of taste and texture found in the other elements on the plate. Large slices of tart apple were drizzled with a sweet sugar glaze that also complemented the pecans nicely. Shaved parsnips contributed a bit of crunch, while generous shavings of Saint Agur Bleu Cheese soothed the more pronounce notes with its creamy texture and ever-so subtle salty undertones. Having sampled the bounties of Firefly’s lighter fare, we were now ready to move on to some of the menu’s more substantial offerings. The first of three entrees we enjoyed was a plate of the Pink Peppercorn Scallops. Served on the same style of flatware as the bruschetta, the scallops arrived neatly in a row, an island chain of flavor. The plump scallops rested atop pedestals of brie-crusted gratin potatoes cut into circular discs. The scallops themselves were lightly dressed in a tobiko-based sauce, which gained its pale pink hue from the vibrant tones of the fish roe. The scallop meat was both succulent and flaky, easily pulling apart with only the fork. Also adorning the plate were long pea tendrils intertwined around the petite islands like seaweed washed up to shore, adding a contrasting crunch to the otherwise luxuriously smooth dish. The next entrée to greet us was the Peppercorn Mignon: a thick, bleu cheese-crusted filet topped with sautéed mushrooms in a demi glace. Propped beside the steak was a petite bundle of haricots verts held in place by two layers of cheesy potato gratin. The demi glace pooled around the steak as the savory equivalent to chocolate sauce over an ice cream sundae; and as the adult equivalent to kids in a candy store, we dug in. cutting into the thick piece of meat revealed the color variation of success: the charred crust translated into a deep brown, which graduated into a red center. Slicing the piece was almost as effortless as cutting silk, and every bite was an experiment in decadence. The bleu cheese crust shown through with hints of salt and aroma, while the mushrooms adopted the meaty character of the steak. The parmesan-coated potatoes were delightfully yeasty and firm, while the green beans were crisp and worked well to counter the weight of the other elements. The last, and perhaps most visionary, entrée to grace our table was the Seabass en Papilotte. Charmingly rustic yet expertly refined, this dish epitomized Chef Jimenez’ skillful hand at constructing high-impact dishes with few ingredients. A cast iron dish held a tidy package of white parchment paper beckoning us to uncover the goodies within. 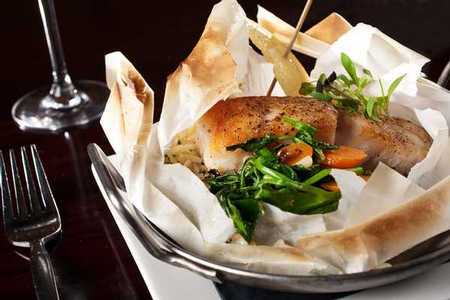 Once gently unwrapped, a large filet of golden brown-crusted sea bass lay before us on a bed of lemon garlic orzo with baby carrots and pea tendrils. The wafting scent of fresh fish with the invigorating pungency of the lemon and garlic greeted our senses even before the first bite was taken. Flaky and delicate, the pale meat of the fish retained its naturally mild flavor, while its roast-colored skin was expertly seasoned and flavorful. The orzo captivated us with pronounce notes of garlic and lemon, and subtle hints of parmesan added a savory baseline to the pasta. The crunch of the baby carrots and the toothsome texture of the pea tendrils again balanced the lighter textures. Too often, dessert selections on otherwise impressive menus are presented as afterthoughts; I am happy to say that Firefly treats its sweets with the same care and precision as its savory dishes. We were first convinced of this after breaking our spoons into the Crème Brulee. Fresh raspberries lay in an intimate cluster on a golden crust of burnt sugar. Beneath this outer coating of smoke-infused sweetness, silky smooth custard rested and waited to be swooned over. And swoon we did – infused with Bailey’s Liquor, the custard was rich without teetering on being obnoxiously so. Each bite of silk-laced crunch invited us to linger a moment, contemplating sweet nothings. The last hurrah to this celebration of a meal came fittingly in the form of the Chili Chocolate Cake and Hazelnut. 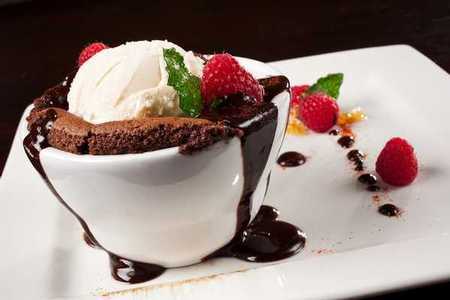 A lustrous white bowl overflowed with the molten goodness of flourless chocolate cake and warm cayenne ganache. A dollop of hazelnut gelato sat atop this opulent mound of richness triumphantly and was joined by a blackberry embraced by the thick of things. I was surprised to realize that instead of wowing the senses in its shock power, the cayenne undertones only served to enhance the complex elements of the chocolate – sheer sugar overload was substituted for the faint hint of cinnamon and coffee. Similarly, the cool creaminess of the hazelnut gelato countered the warm richness of the ganache and stabilized the nutty notes of the chocolate. Firefly Restaurant and Bar bids us to flitter and flirt across the perpetual sea of quiet contentment induced by its whimsical cuisine, fanciful surroundings, and charming family of staff. 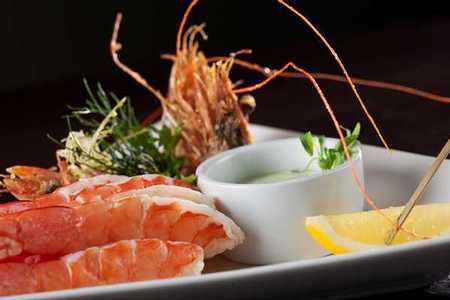 With every bite of each dish acting as a signpost to culinary bliss, it is easy to be carried off in the wind of distraction like a glowing bug in the summer night. Main Dining Room | Breakfast 6:30 a.m. - 3 p.m.
Main Dining Room | Happy Hours 3 p.m. - 5 p.m.
| Dinner 3:30 p.m. - 9 p.m.
| Happy Hours 3:30 p.m. - 5:30 p.m.
Firefly Restaurant and Bar is located in the Dana Hotel. Does Firefly have a waterfront view? Yes. The restaurant overlooks a large pool and a private marina. No, Firefly Restaurant and Bar has a barrier-free entrance and is wheelchair accessible throughout. Yes, free parking is provided behind the lobby of the hotel. The restaurant is located through the lobby of a hotel, which we didn't know, so finding the place took a phone call for directions. When we arrived we were a bit surprised at the size as it may only have had a dozen tables, all of which were full the entire time we were there (make reservations). Our server, Ashley, was very helpful with the menu, recommending appetizers and soup. The meal was presented on gleaming white plates that showed off the food perfectly. The unique flavors of the food made the entire meal one to remember. After our meal, we told Ashley how we had chosen the Firefly for our anniversary dinner (through sandiegorestaurants.com) and she asked us to wait for a moment. She brought out the head chef to meet us! What a surprise! It was a great dining experience for us and we would highly recommend this small restaurant to anyone who is in the area. Sea Bass and Ambience was great! I was visiting the area on business and met up with family for dinner. I decided to choose a restaurant for the group and make reservations. Not knowing the area is always tough to find a great place to eat. I used San Diego Restaurants.com for easy selection and reservations. The Firefly was highly recommended by many people, so I took a chance. The Firefly was great. The food, service and ambience were fantastic. I had Duck Tacos as an appetizer and all at the table ordered the Sea Bass. We sat outisde on the harbor and took in the evening air. Awesome! I will return again when I am in the area. the staff members are very nice and dedicated. the wine selection was great. this is where i had my first date with someone and it was a great way to spark a romantic evening. Try It! Its worth it! Friendly & helpful staff, great food & fun ambiance are what make Firefly a great restaurant. The menu has something for everyone without being all over the board. Staff was helpful and friendly. A bonus is the outside area with a gorgeous view and plenty of parking. Highly recommend! Nice, quiet, and not crowded. Doesnt have any private booths, so if your looking for privacy, this is not the place to go. The food was less expensive than I anticipated. The view was incredible and service was fantastic! The food was very good and were generous portions. I would highly recommend Firefly to anyone! The food was fantastic. I had the sea bass and it was cooked to the perfect consistency. The mushroom sauce was the best, I asked for extra. The atmosphere was very nice. The kids were a little loud by pool, it didn't bother me but I think my date had a litle problem with. Anyway, you can't have a poolside bistro without pool noise. You can also see the bay from most of the restaurant. The food service was rather slow but if you have no where to go it will probably be okay. The atmosphere was wonderful with the tiki torches blazing, it set just the right mood. 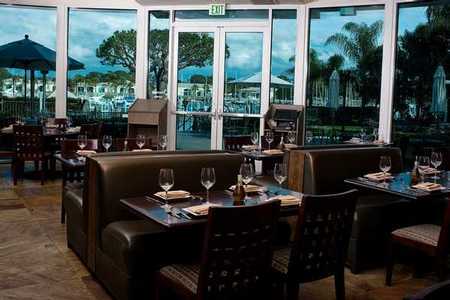 Sit outside to enjoy the view of the bay while dining on fabulous food. Their sea bass is delicious, especially if you substitute the garlic mashed potatoes, but the pork chops are also great. And for lunch, I recommend the seared achiote chicken sandwich or the burger with herb fries. With your Entertainment card, it's quite affordable. Afterward, be sure to take a stroll along the water's edge. I picked this restaurant because of the reviews and I was not disappointed. Everything from the service to the drinks the meal and desert was great! Great food, wine and atmosphere! This was our first time at Firefly and we had a late dinner outside. Whle we overlooked the marina and in another direction saw a glimpse of the ocean we felt like we were on vacation and not as a resident of San Diego. Our waitress was not very attentive or very knowledgeable. However we were able to overlook that because of the wonderful wine, delicious food and the atmosphere. I would give it another try with the hopes that the level of service we experienced was an anomaly. The waitress was very good, but the kitchen was run very poorly. We were there with a large party, so we were extra patient, but the food took forever and no one was happy with their food. It was also very noisy. Definitely not going back. Cannot recommend this restaurant for the service or the food.